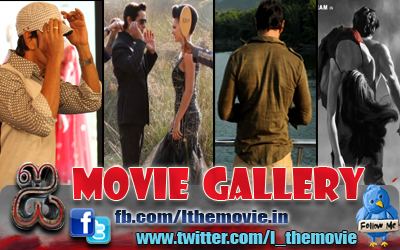 Home » Latest Buzz » Vikram,Vijay and Vishal in Manirathnam's Ponniyin Selvan? Vikram,Vijay and Vishal in Manirathnam's Ponniyin Selvan? 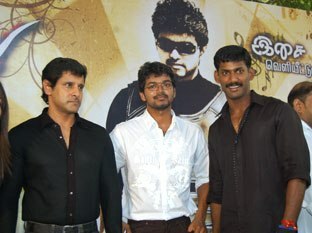 A Tamil newspaper has reported that ace director Mani Ratnam is all set to do a mega multi-starrer.The film will have the three big V's of the industry- Vikram, Vijay and Vishal coming together for the first time!, It seems the director is working on the script of the film and will start the shoot shortly. Earlier there were strong rumours that he is doing the pre-production work of his ambitious period drama Ponniyin Selvan.He was supposed to be making the film with Vikram and Suriya. Mani is very secretive and will neither confirm nor deny any of these stories regarding his "future projects". However sources close to Madras Talkies, Mani's production house has informed us that something big is brewing and an official announcement will be made in a few weeks time.